### 1. To understand Semantic Encoding as distinct from Visual Encoding a. To be able to weigh the pros and cons of each method and to accurately assess the additional stages required by each approach to achieve different end goals. ### 3. To be able to encode a document in XML and TEI and to understand the basic rules of XML encoding. ### 4. To be able to do simple styling of an XML or TEI document in order to create different “presentations” of that document a. 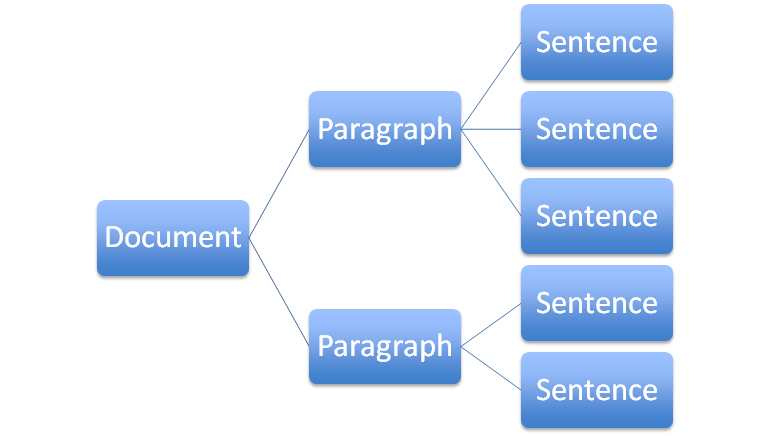 To understand various options for presenting and representing an XML/TEI text b. To have a sense of the various tools available to help with the presentation of an XML/TEI document. ### 6. To have an understanding of “advanced” textual encoding practices. a. To understand how to do basic encoding of common features of a critical edition, such as a critical apparatus, an apparatus fontium, diplomatic transcriptions, segment classification. b. To know what resources are available both to guide your encoding and to help you go further. #### Activity 1) With a pen or pencil, draw a box around examples of these data types and give each data type a “label”. 2) Figure out how many different kinds of data are on this page. 3) Identify or explain how these data types are communicated to you as a human reader. 4) Identify what kinds of relationships between data types are communicated and how this is communicated. Question: Were there any data types or relationships presented in ambiguous or unclear ways? What made these features ambiguous? ## What is XML XML stands for eXtensible Markup Language and it is a specific technology or tool designed to allow us to semantically describe a text, document, or any kind of structured information. ## Advantages of XML 1. It is a well established technology with a long history 2. It is well supported. 3. It is system independent. XML semantically identifies pieces of data using opening and closing tags which are enclosed with angle brackets. Tags must be either siblings of another set of tags or children of a set of tags. In Aristotle talk, elements are like subjects that can take on differentiating accidents. In addition to containing text and other elements, elements can take on "attributes". 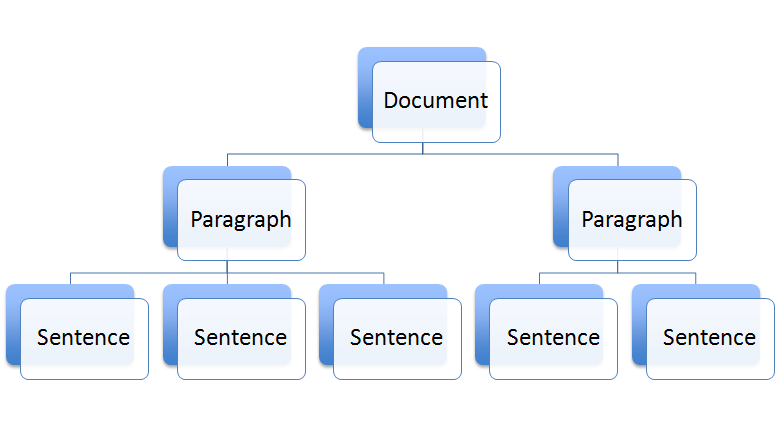 The result of following these rules is a document whose content is nicely organized into a tree structure. To start a new file, open oxygen, select file->new, select "xml document"
### Activity 1. In Oxygen, open a new css file (file->new->css). 2. Save the file as `mystyles.css`. 3. Add a link to this file at the top of your xml document like so: ` <?xml-stylesheet type="text/css" href="mystyles.css"?>` 4. Use this resource [https://www.w3schools.com/css/default.asp](https://www.w3schools.com/css/default.asp) to start adding styles to your css stylesheet. 5. Open your xml document in your browser to see how your styles affect your document. Question: Where do the element and attribute names come from? How do we know what elements or attributes we can use? This means that XML actually does not specify any set of tags or element names. Anyone can make up their own set of elements and use them however they like. It allows different industries and fields to create tags that meet their needs and their data. If everyone can just make up their own tags, we can create confusion about what different tags mean and the datatypes they are encoding. Someone might choose to tag something as <paragraph> and another person might choose to tag something as <para> and a third person might choose <p>. How do we avoid this confusion? Question: What element should I use to encode a line in a poem? Question: What element should I use to encode a new page and or a new column in a manuscript? Question: What element (or elements) should I use to add an image? ### Diplomatic Transcriptions TEI Guidelines: [http://www.tei-c.org/release/doc/tei-p5-doc/en/html/PH.html#PHST](http://www.tei-c.org/release/doc/tei-p5-doc/en/html/PH.html#PHST) Question: Why isn't TEI always enough? ### Recording Names, Places, Interpretations, et alia TEI has different elements to help you group different types of text classifications. ### For example: * [listPerson](http://www.tei-c.org/release/doc/tei-p5-doc/en/html/ref-listPerson.html) - person * [listBibl](http://www.tei-c.org/release/doc/tei-p5-doc/en/html/ref-listBibl.html) - bibl * [taxonomy](http://www.tei-c.org/release/doc/tei-p5-doc/en/html/ref-taxonomy.html) - category * [interGroup](http://www.tei-c.org/release/doc/tei-p5-doc/en/html/ref-interpGrp.html) - interp These lists can be added in various places within your TEI document. Using the [TEI-WEB-EDITOR](https://tei-web-editor.herokuapp.com/) that we worked with earlier... * Open the file called: `/xml/lbp-1.0.0-critical-edition.xml` * Follow the LombardPress-Critical Schema for creating an apparatus fontium [http://lombardpress.org/schema/docs/critical/#apparatus-fontium](http://lombardpress.org/schema/docs/critical/#apparatus-fontium) * Then view your file on githubpages at [your-username].github.io/simple-tei-edition/critical.html. * Hover over the places you've marked with a citation, and view those citations in the bottom of the browser.